The National Police Cadet Corps (NPCC) is a youth uniformed group in Singapore. 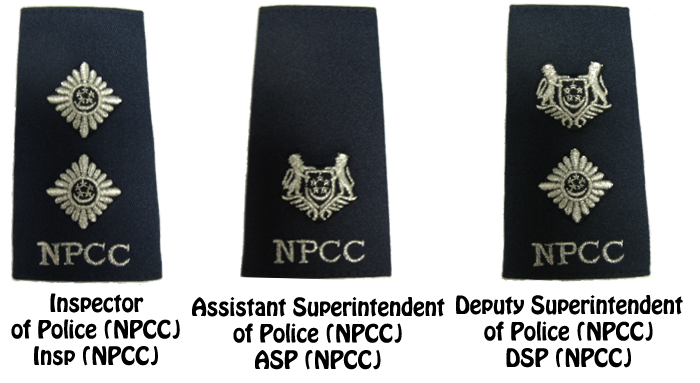 Established in 1959, the NPCC is supported by the Ministry of Education (MOE) and the Singapore Police Force (SPF). The Corp’s membership comprises students from the government secondary schools, adult and youth volunteers from the education service, tertiary institutes and members of public. Although supported by two government bodies, the NPCC is largely dependent on its members who volunteer to plan and implement training and enrichment activities for its student members in the secondary schools. It is therefore important for NPCC to formalise the Route of Advancement for its members. From the individual perspective, the advancement serves as a form of recognition of individuals. From the organisation perspective, the advancement serves to build a core group of members to strengthen the NPCC movement as a uniformed youth movement with a vision to "Mould the Builders of Safe and Secure Home". 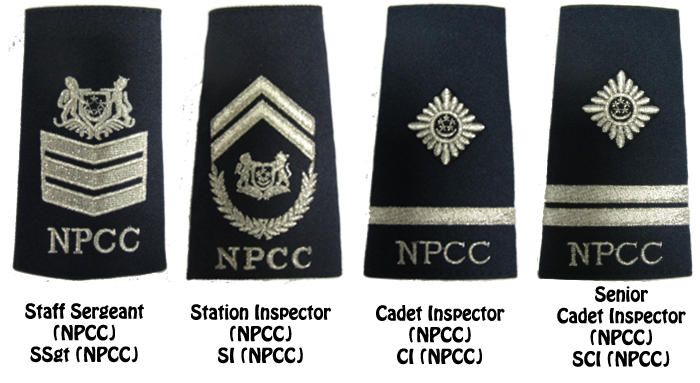 In general, an NPCC member can serve the Corps till the official retirement age of 62. 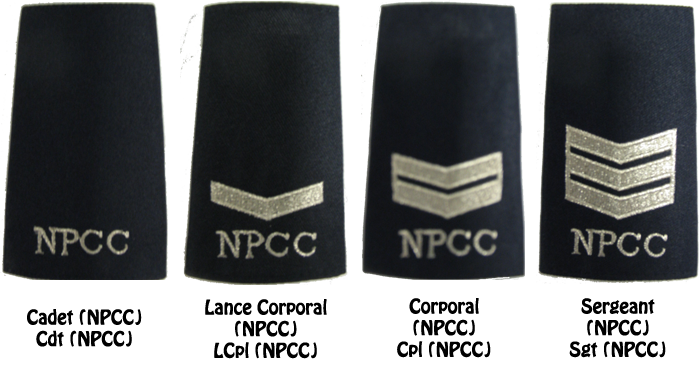 Depending on his background, education qualifications and contributions, an NPCC member could move up the ranks from cadet to Assistant Commandant, which (at this point) is the highest attainable appointment for an NPCC member. A former Assistant Commandant who had reached the official retirement age of 62 and would like to continue active service with the Corps could be appointed as Liaison Officer. Appointment to Liaison Officer is by invitation only. 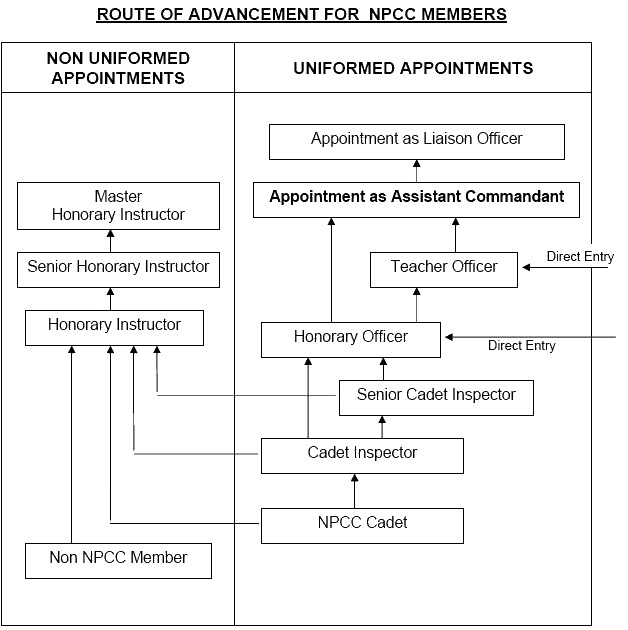 A member of public with no NPCC background could also join the NPCC as a non-uniformed member. Copyright © 2014. National Police Cadet Corps. All Rights Reserved.